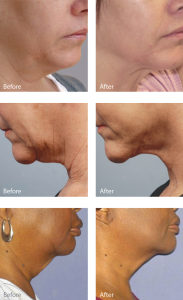 Forma technology is the superior choice for the treatment of wrinkles. Forma Skin Treatment stimulates the formation of new collagen and improves the skin’s elasticity for long-lasting and remarkable results. The radio frequency current flows between the electrodes to provide a comfortable thermal experience, without concerns of hot spots or undertreatment. Built-in temperature controls allow for the attainment of clinically proven optimal epidermal temperatures. In addition, Forma’s wrinkle treatment has the exclusive capacity for prolonged exposure at therapeutic temperatures, which can be reached quickly and uniformly. Perhaps best of all, you can get Forma treatment right here in Fort Collins at Xanadu!